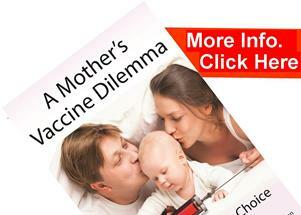 Rubella vaccine: What is more effective the natural immune system or the vaccine? Rubella vaccine – what’s the point? Rubella (German measles) presents an apparently different challenge; the disease itself is fairly mild in children and is associated with the rubella RNA virus that is assumed to be the cause of the disease and believed to be there if certain antibodies are detected in the blood. The condition presents as a mild inflammatory condition starting with tiredness, aching, fever and often swollen lymph glands on the neck, a red-pink rash appears 3-4 days after the first symptoms and last for around a week. The spots usually start behind the ears, before spreading around the head, neck, face, and after 2-3 days develop on the trunk and the extremities. Complications arising form the childhood disease are similarly mild, rare and not cause for concern within the medical profession, the condition can be more severe if contracted in adulthood affecting the joints with pain, swelling and/or inflammation, there are also cases of thrombocytopenia, (reduced blood platelets – the cells involved in blood clotting). In determining the frequency of rubella and ultimately the effectiveness of a vaccine program it is important to realise that the diagnosis of rubella is not as straightforward as it appears. Firstly the symptoms of rubella could just appear as swollen glands and may not even show the rash at all. There could even be no symptoms at all and evidence of rubella virus, ascertained by the presence of certain antibodies; therefore sub-clinical infection (detected presence of antibodies but no symptoms of illness) is known to be very common. With regard to assessing the effectiveness of the vaccine in terms of reducing the incidence of the disease, this again relies on reported cases of rubella, which is fraught with inaccuracies given that the symptoms often go unnoticed and can be mistaken for many illnesses diagnosed as non-specific viral rashes of childhood and often confused with measles and roseola. The initial concern with rubella vaccine (often given in the form of the measles, mumps and rubella triple vaccine MMR) is that rather than conferring lasting immunity it delays the onset of rubella from childhood to teenage and adult years, thus making the likelihood of contracting the illness in the child-bearing years even greater. The natural illness carries minimal risk and would be far more effective at conferring natural immunity; it seems that the vaccine could be counterproductive in delaying natural immunity and creating a susceptibility to the illness at the worst time for women, during their child-bearing age. Robert S. Mendelsohn, M.D. in his book “The Medical Time Bomb of Immunization against Disease” is equally critical, quoting the efforts of other doctors to remove the vaccine from their mandated list. Rubella vaccine – effective at doing what? With regard to rubella vaccine effectiveness, most of the studies concentrate on the ability of the vaccine to produce antibodies in response to certain tests in the recipient, it seems it’s easy to show that the vaccine can create an antibody response however would individuals develop sufficient antibodies naturally without vaccines? In 1982 the British Medical Journal1,284, 628—30, reported on the antibody levels in rubella vaccinated 13 year old girls compared to boys that had not been vaccinated, showing that there was no statistically significant difference between vaccinated and non-vaccinated, you were as likely to produce antibodies naturally as you were with a vaccine. However these tests do not focus on the actual incidence of rubella disease in these patients, i.e. these antibody trials do not tell us whether we are protected from contracting the actual disease or not, this is a point continually made by those criticising so-called vaccine ‘evidence’. Viera Scheibner PhD in her book “Vaccination” quotes the report of Menser et al ‘Impact of rubella vaccination in Australia’ published in the Lancet 12/05/84. After 13 years of rubella vaccination there has been a notable increase in the proportion of rubella sero-positive pregnant women (i.e. possessing anti-bodies). However, it is also true that 86% of a Melbourne ante-natal clinic’s patients were sero-positive without any rubella vaccination. Antibodies do not tell you whether you’ve been ill, are ill, or going too get ill, and therefore whether you are immune or not. To find studies addressing the most pertinent issue as to the disease rate of rubella in the vaccinated we have to go back to a time when researchers would have thought to question the role of vaccines, before the medical view became entrenched and oblivious to the need for such research. In October, 1972 a seminar on rubella was held at the Department of Pathology, University Department, Austin Hospital in Melbourne, Australia. 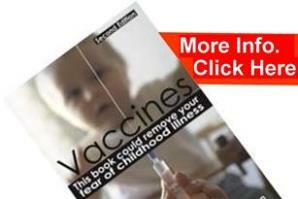 Dr. Beverly Allen, a medical virologist, gave overwhelming evidence against the effectiveness of the vaccine. So stunned was she with her investigations that it caused her, like a growing number of scientists, to question the whole area related to herd immunizations. Dr. Allen described two trials: the first trial concerned army recruits who were selected because of their lack of immunity as determined by blood tests. These men were given Cendevax, an attenuated rubella virus that is supposed to protect. They were then sent to a camp which usually has an annual epidemic of rubella. This occurred three to four months after they were vaccinated, and 80% of the so-called immune recruits became infected with rubella virus. A further trial shortly after this took place at an institution for mentally retarded people with similar effects. Additional disturbing evidence was sent to us by a Melbourne GP who was in the United Kingdom at the time that Chief Health Officer Sir Henry Yellowlees, had released a press statement (February 26, 1976) informing doctors that, in spite of high vaccination figures, there had been no detectable reduction in the number of babies born with birth defects.